A recent residential real estate photography session in the Pasadena Lakes Neighborhood, just minutes away from downtown St. Petersburg. This home was nicely staged with furniture and decor which made it more interesting to photograph. My client requested that I show the spacious feeling of this ranch style home and additionally show the abundance of natural light in the house and also feature the large, lush yard. Balancing the interior and exterior light was critical. To achieve the most pleasing feel and natural looking light, I mixed the natural window light filtering into the house through the windows, with the much brighter exterior light, a few lamps and ceiling lights found throughout the house to help create that lived-in look and, to tie it all together, I used strobe and LED lights very selectively and strategically placed. As you see, I photograph multiple angles and differing views of most of the rooms. I do this to further enhance a viewer’s perspective of being in the house. Enough said for the time being. Please continue viewing the other rooms and exterior of this residence below. If you have any questions or would like a quote, please email or call. For an expanded list of areas I offer photography service to, click here. I recently had the honor of doing some photography for the March For Science St. Petersburg / Tampa. This local march was a part of an international network of marches demanding acknowledgement of science as opposed to the oppression by the current White House administration. If your not familiar with the March For Science movement, you might want to check them out. We are living in times where it is vital that we listen to scientist to help us find a way to maintain an inhabitable planet. St. Petersburg Council member Darden Rice was named the outstanding green elected official by the U.S. Green Building Council Florida Gulf Coast Region, November, 2016. High fives for Dr. Karyna Rosario, a USF favorite and a very inspirational speaker. This session of on-site photography was done for Cindy Scifres, LMT, CPT, and Certified Neuromuscular Therapist, whose healing arts business is located in St. Petersburg. Images were created for a website update. Behind the scenes, before and after images can be viewed below. There are many advantages of doing on-site photography for business, especially when you are needing to show examples of what you do, your environment, or to avoid having to break down equipment and have it moved and set up in a studio. On-site business photography can have issues that have to be dealt with, space usually being the predominate one. For example, while this room had more than adequate space for neuromuscular therapist Cindy Scifres to perform her treatments, it was somewhat confined for use as a photography studio. In spite of that, by using the proper techniques, skills, equipment, attitude, and preparation, we successfully made the conversion to a photo studio work. To get information about my on-site photography for your business, contact David at DeRemus Photography. To see more of my commercial work, including other examples of my on-site business photography, please visit my Advertising | Marketing Gallery. The before and after images, show below, reveals the full view of the room to illustrate the transformation from a dedicated “work-space” to a temporary photography studio to create her on-site business portraits. While this room had more than adequate space (as well as a great feel) for neuromuscular therapist Cindy Scifres to perform her therapy, it was somewhat confined for use as a photography studio. In spite of that, by using the proper techniques, skills, equipment, and attitude, we successfully made the conversion to a photo studio work. 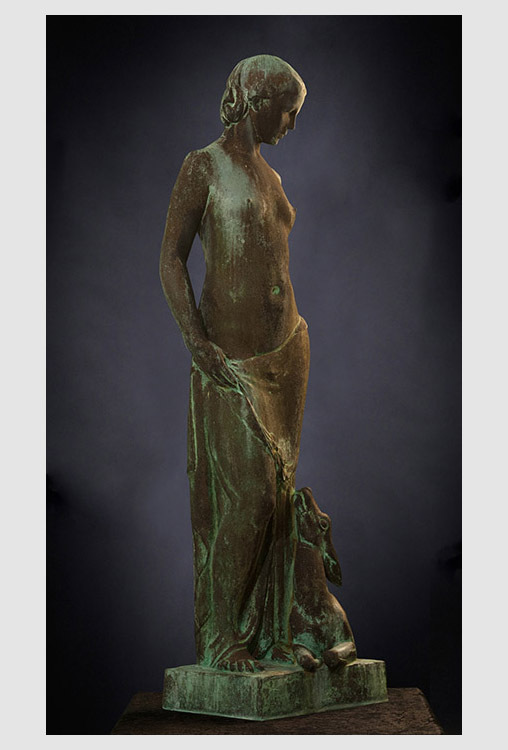 Edward Berge (1876–1924) was a Baltimore, Maryland sculptor known for his bronze monumental works and figures. He studied at the Maryland Institute and the Rinehart School in Baltimore and the Academie Julian in Paris. Edward Berge mainly worked in marble and bronze and completed many monuments, portrait busts and relief sculptures. Many of which are on display outdoors or in public buildings in Baltimore City. This specific sculpture of the Maiden With Fawn, was cast in 1939 after Edward Berge’s passing. The sculptor Perna Krick’s (1909-1991) name is also engraved on the base, it is thought to have been cast under her guidance. It was cast at the Roman Bronze Works foundry. The Roman Bronze Works foundry was established in New York City in 1897 by Riccardo Bertelli. It is now operated as the Roman Bronze Studios. It was the first American foundry to specialize in the lost-wax casting method and was the country’s pre-eminent art foundry during the American Renaissance (ca. 1876-1917). 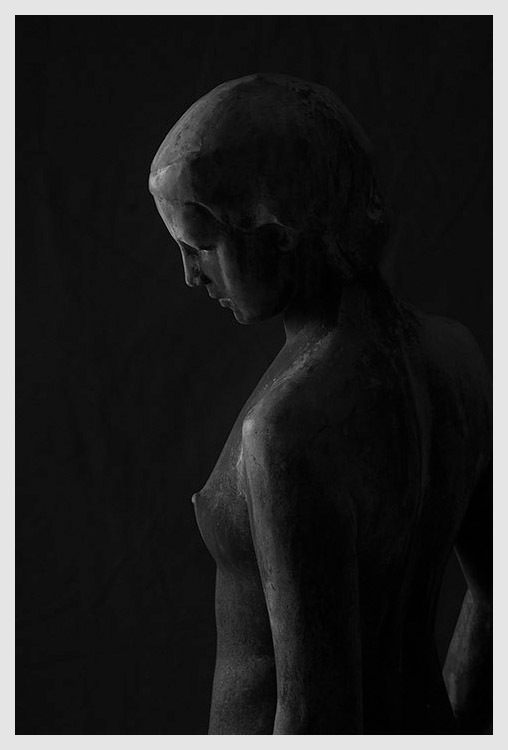 The Maiden With Fawn was one of many sculptures of Edward Berge that were cast there. Commercial product photography can be done at your place of business or even your home. 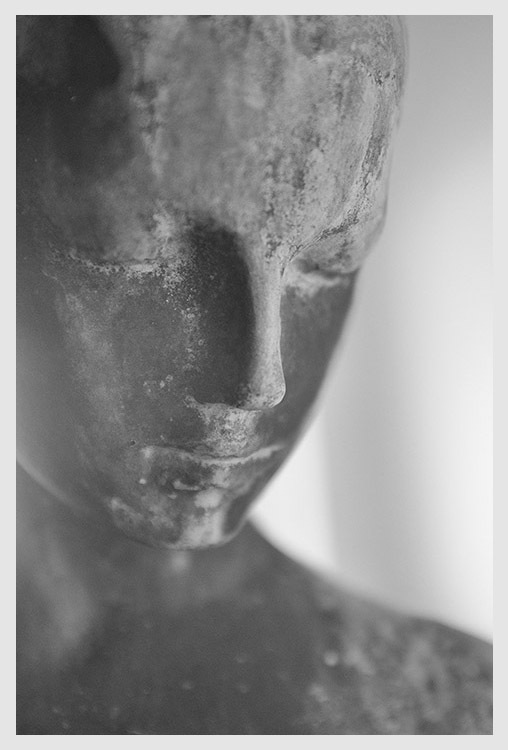 This sculpture was photographed “on-location”. On-location meaning being in my client’s home in Clearwater, FL. A greenscreen backdrop was used on part of the session then knocked out in post production. There was also photo documentation of the foundry stamp, the engraved copyright notice and other engraved information that were essential to verify authenticity and to determine the sculpture’s net worth. My equipment list for this session: Nikon D2x and D7100; Nikon lens 28-70 2.8, 105 DC f2, 80-200 2.8; lighting was a mix of 2 Norman strobes (1 each 200C and 400B) mixed with ambient light. The strobes were set up as bare bulb, with an umbrella or a softbox.